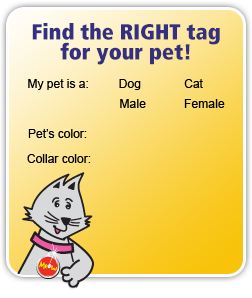 Keeping our canine friends safe is a priority for all responsible pet owners, and the best way to ensure their safety is by getting them to wear an engraved dog tag, complete with their name and your contact details as well as any important medical or microchip information. This small addition will ensure your dog is returned to you if they are ever lost. With a broad range of stylish dog tags available, you are spoilt for choice. Made from a range of high quality materials, including brass, stainless steel and aluminium, our tags will suit all types of dogs. Choose from our sturdy but stylish brass and stainless tags for your outdoor adventurer, our pretty bows, hearts and Bling tags for your pampered princess or a bone for your greedy pup...we have something for every pooch! You can also make life easier for yourself and attach your tag to your dog's collar with our lightweight eZeClip attachment. Engraved using the latest technology, you can be sure of quality finishes on all our tags. 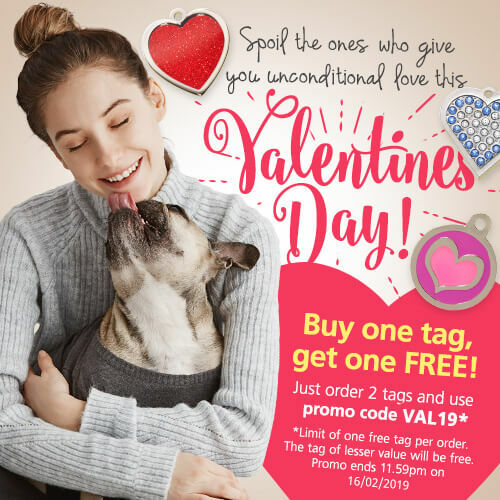 We guarantee your dog ID tag against fading for 5 years from the date of purchase. 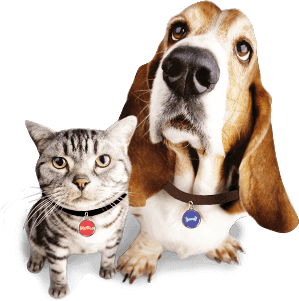 All dog ID tags are guaranteed for 5 years from the date of purchase against breakage and fading. Also, should you lose any crystals in your Bling tag during the first year, we will happily replace your tag. Keeping our canine friends safe is a priority for all responsible pet owners, and the best way to ensure their safety is by getting them to wear an engraved dog tag, complete with their name and your contact details as well as any important medical or microchip information. This small addition will ensure your dog is returned to you if they are ever lost.